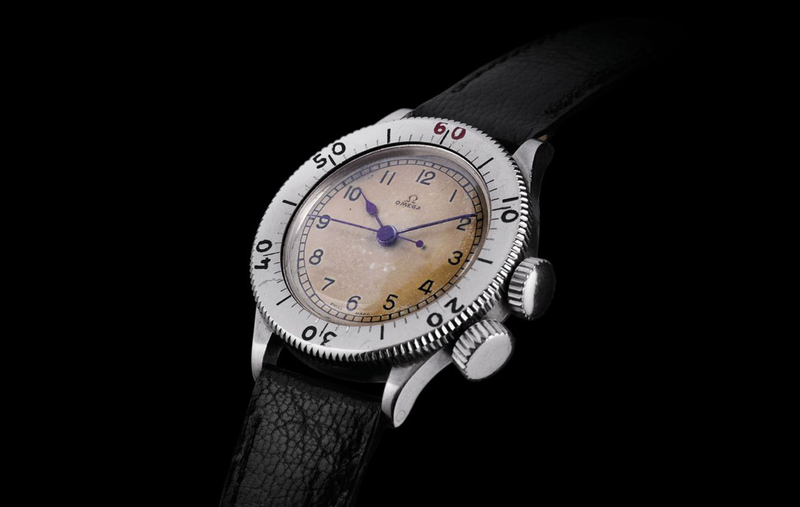 The Omega CK2129 was first produced in the 1940s, after the start of WWII. At that time the British Royal Air Force asked Omega to make 2,000 military spec watches with rotating bezels. 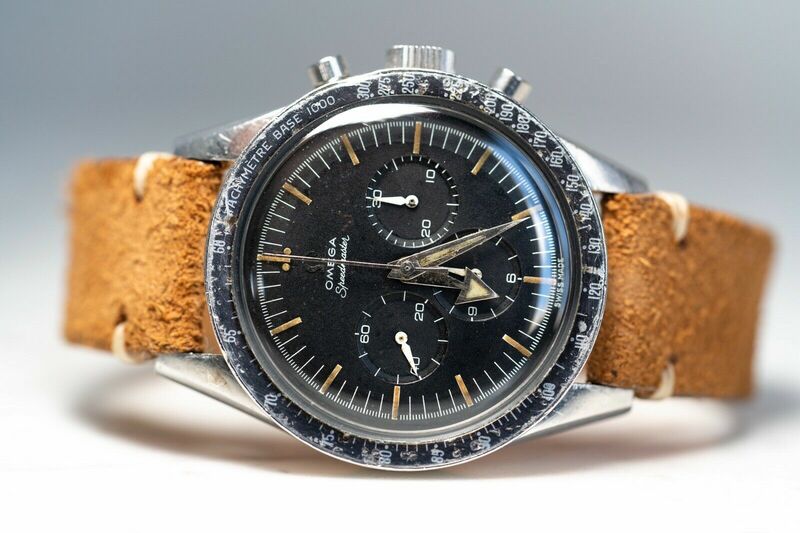 Rotating bezels allowed pilots to make in air calculations and more accurately time events, such precisely counting down the time until launching a coordinated mission. Further, the light color dial with dark Arabic numerals and hands made for a highly legible display, which is of course, crucial for any “tool” or “professional” watch. There are two large crowns, made to be operated with gloves on, one at 3 o’clock (sets the time), and one at 4 o’clock (rotates the bezel, and locks to prevent accidental rotation). A manual wound movement, caliber 23.4 SC, which beats at 2.5Hz and has an estimated 40-hour power reserve. This watch was aptly chosen to be worn by Tom Hardy in the blockbuster Christopher Nolan directed war film “Dunkirk” because reportedly half of all the watches used by the British RAF were Omega CK2129s. And Nolan is a stickler for details clearly paid careful attention to the wristwatches, which is awesome. In total, it’s estimated that Omega delivered over 110,000 watches to the British Ministry during WWII.